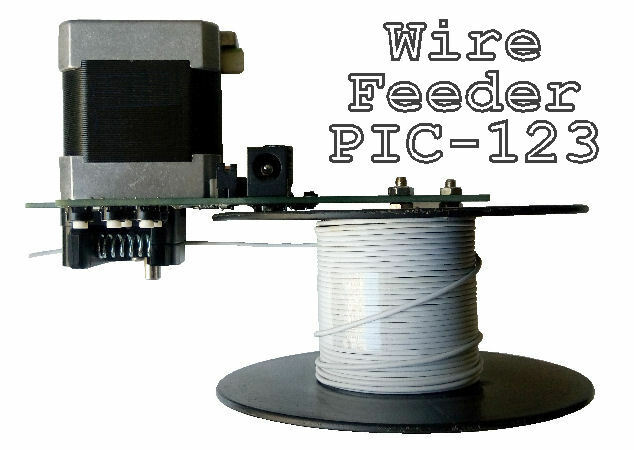 PIC-123 Wire Feeder helps you to cut out a consistent length wire for your production. 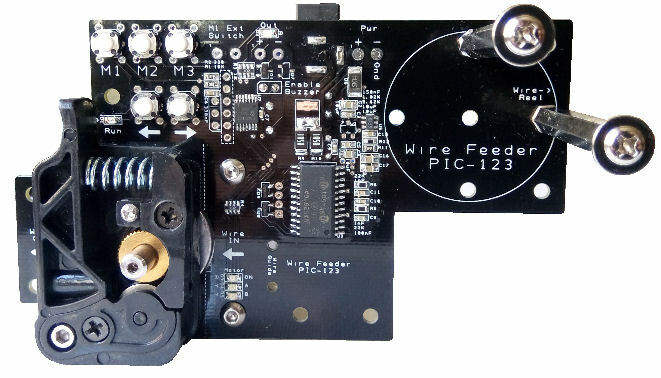 This feeder module can be further integrated with a wire cutter module to become an automatic wire cutter machine for standard wire length production. A press of a button to feed the standard length that you have preset. Simple to use. Suitable for low cost, low volume wire cutting production use. Standard wire length feeding with a single button press. 3x push-button memory preset (M1, M2, M3) for your frequent use wire length. Left/Right push button helps to adjust to length (in units of 1mm) before applying it to the memory preset. Easy spring-loaded lifting to insert a fresh wire through. Mounting holes for installing a holding rod for the wire reel. Mounting holes for installation to bracket or chassis. LED indicator for the feeding operation. Choice of enabling feedback beep sound. 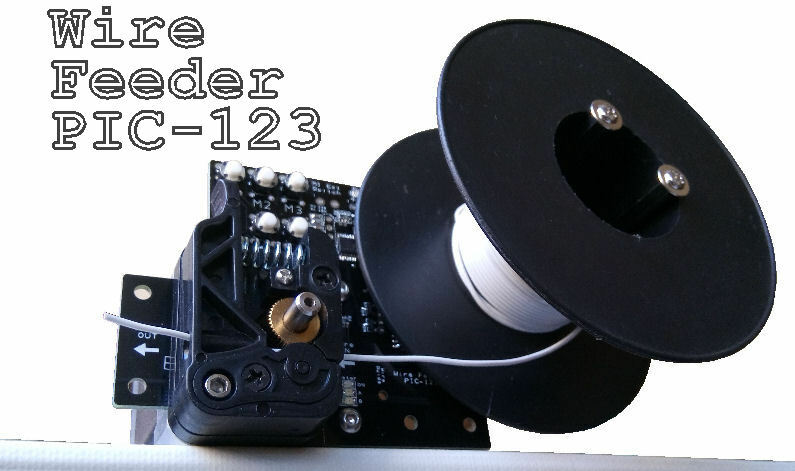 12V power supply for controlling the Bipolar Stepper Motor feeder module. Front view of the wire feeder. Feeding mechanism for the wire. 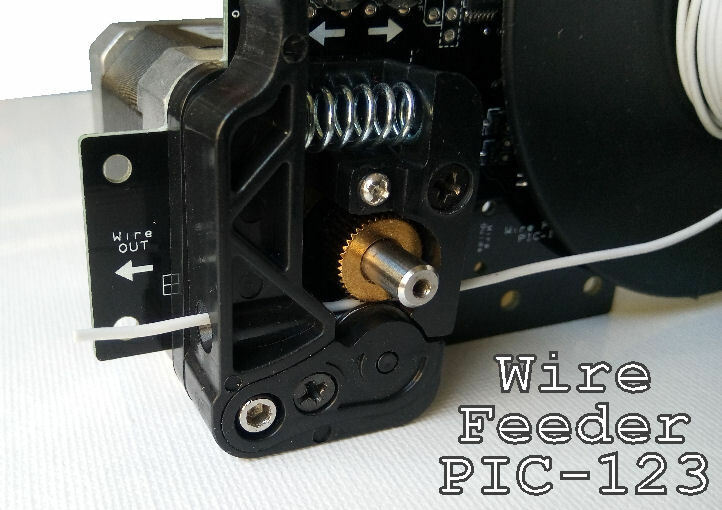 Position your wire reel, ready for feeding. Pull the spring lever catch and insert the wire through the hole and catch module. Power on the wire feeder module. You should hear a beep sound after powering up for 2 sec indicating that the feeder is ready. Adjust a starting position using the Left or Right button. Start adjusting the wire feed distance that you required using the Left or Right button. Once the feed distance is determined, press-hold both the Left + Right button and then press-hold the memory preset button M1. A double beep will sound to indicate that the feed length is registered into the memory M1. The wire feeder will reset, follow by a beep sound to indicate that it is ready for use. Press the button M1, M2 or M3 for the wire feeder to feed the preset wire length. 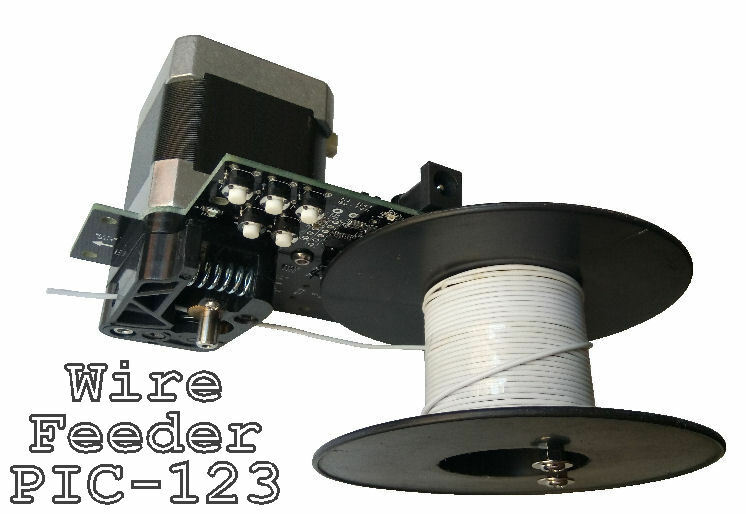 Contact PIC-CONTROL for further information on this PIC-123 Wire Feeder module. 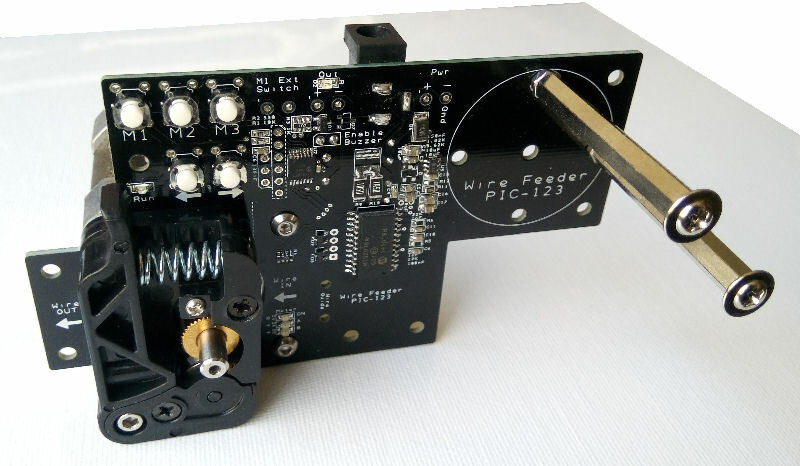 Custom motor controller design for automation and motion control is also available. We can help to design a dedicated motor controller for your application. Drop us an email to share with us more about your project application and requirements.